Years later, she’s in an Outback and then a Forester, which is totaled in a crash. The message is that Subarus are reliable and safe. 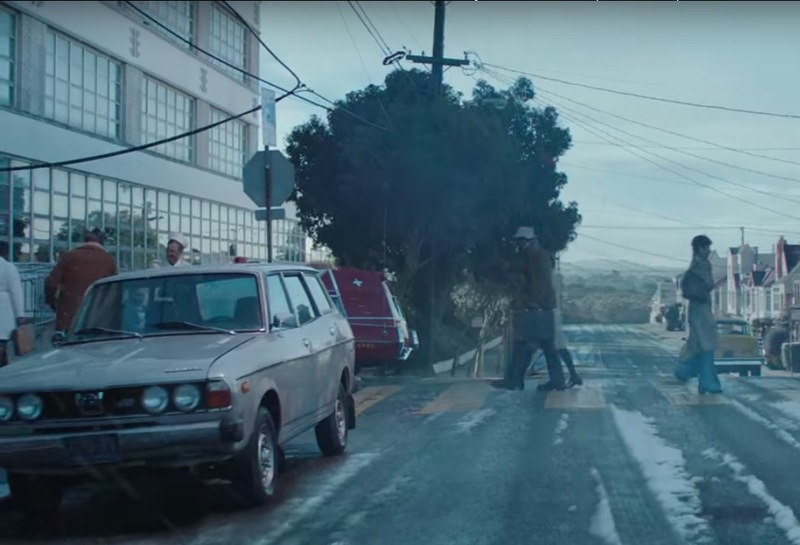 We think the ad mostly amazing for the fact that a first-gen DL probably hasn’t been seen on American TV since probably about 1982.
tagged: cm, Forester, leone, Outback, subaru. Is it just me, or does this remind anyone else of that Honda commercial with the EF from awhile back? I love the rear end of that big Cadillac ambulance peaking out from behind the DL. Those things are boss. I wish they could have found a slightly nicer DL (just for the sake of JNC eye candy! ), but I love how well it blends in and fits with the scene. Hopefully it’s not a car from a studio lot that gets beaten to a pulp later in a TV show or something. The fate of that Super Bee from the Knight Rider reboot is always in the back of my mind. ? EDIT: I looked harder at the screen cap and it actually is a very nice DL! Disregard my previous opinion. ? I am certain that the first picture is of Washington High School in San Francisco. It is of the right side of the main entrance of the building.